Min datter fylte nettopp 24 år og da måtte hun selvsagt få kort♥. Tilda er fargelagt med Copics og papiret er fra Maja Design. My daughter just turned 24 and here is the card i made for her♥. 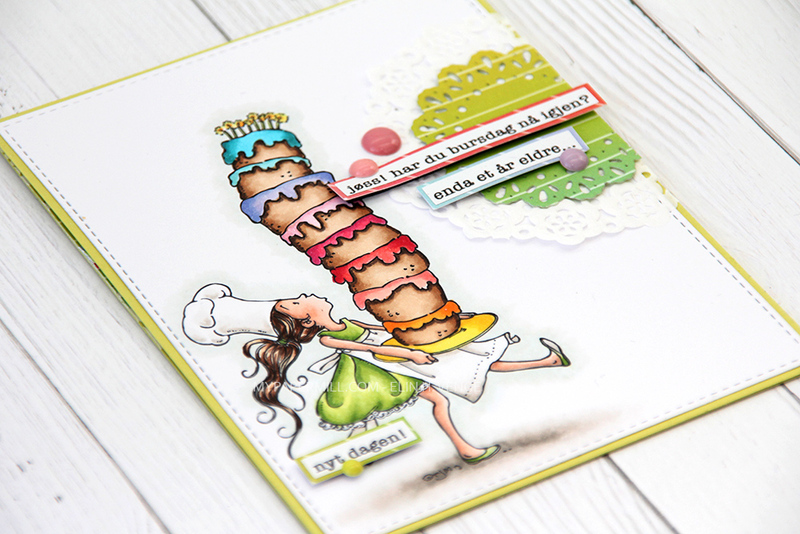 Tilda is coloured with Copics and the papers are from Maja Design. Ønsker alle sammen en fin helg♥. Happy birthday for your daughter!! The card is vey beautiful!!! Lovely colours, paper and great colouring!! This is so adorable. Fantastic colouring and lovely layout inside and out. oh very nice card ! Happy birthday to your daughter ! Oh she's beautiful!!! Your card is beautiful too! Fabulous job! Sorry I haven't been around for a while… hope you had a good weekend!